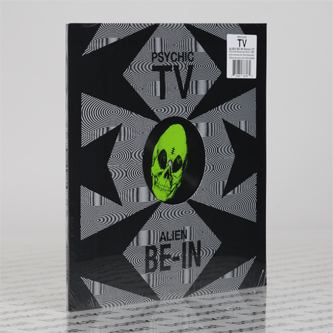 Reissue of Psychic TV's evil '89 acid house jam, now backed with remixes by Silent Servant, Fred Gianelli, and John Tejada. Skull side gets down with the "Didjeridu" acid and whale noises of 'Alien Be-In' taken from PTV's 'Towards Thee Infinite Beat' (1990), beside a pumping update from Fred Gianelli. The Psychic side turns out a slower, concentrated remix from Silent Servant trading the "didj" sound for one of his signature synth lashes before teaming up with John Tejada for a slinkier, sleazier take.